Today's project has been one of my favourite makes this year. I love how the effect of the heart stamp from Heart Happiness has merged with the technique and the colours to create this fab mottled heart. I used Elegant Eggplant, Rich Razzleberry, Wild Wasabi, Daffodil Delight and Pool Party Ink Refills for today's project. 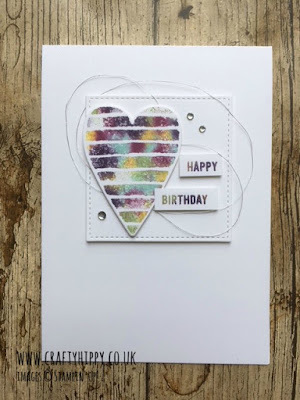 The amount of ink you use dictates the look of the card - use more purple and you will have a darker looking card. Use only a few spots of purple and it will stand out from a lighter heart. I used Thoughtful Banners for the sentiment. 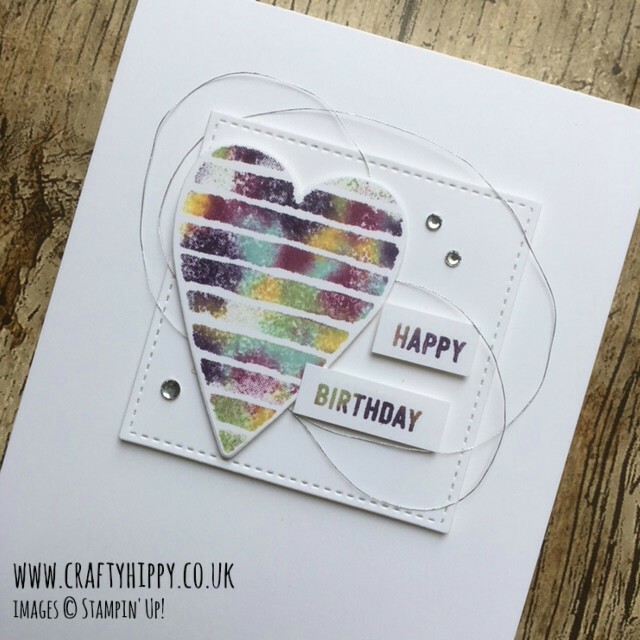 On Friday I shall be making today's heart card using shades of blue, pink and purple; be sure to come back and see the video.